There are thousands and millions of people who want to become Mark Zuckerberg. Yes, this is true. Such aspiring people want to have something of their own like Facebook or Twitter. But do you know that what that takes in to reach up to such level? The process of convincing someone over choosing any one thing is something pretty challenging. Every client must first sit down, think and then take the final decision. For that raising few questions to yourself can be quite helpful for you. You need to first decide the service you are wishing to deliver to your clients, the workload as to be calculated and you must know before time that if there is going to be any large and complex database involved in the future. Following are the points that can help you choose the most appropriate Russia dedicated server. Just weigh that if a potential failure occurs when how is it going to impact your business. Whenever you are considering the selection of Russia Dedicated Server hosting, then you must first check if something wrong happens with the server then what would you do in order to tackle with downtime. So, it is good to choose the server that comes with cloud environment, as this features will help your hardware from any potential system failure. Although you would be getting a dedicated server that will be totally in your use but still there can be some accidental point where your server can also fail and can result in downtime. You must be in position of accepting any such downtime. But if you are able to scalpel up to any other multiple dedicated servers, then you are safe. Scalability is also important factor that shall never be ignored while selecting a Russia dedicated hosting server. You must know that how amazingly and seemingly your apps can be scaled up. Moreover, it is important for you to know that the server you are planning to rent is efficient enough to add as many servers as you will need in order to bring in more users to the website whom you can server through your products and services. Performance requirements: When it comes with performance requirements then comes the point when you need to make selection of multiple hardware that will directly impact the performance of your server. CPU: Normally, the service provider allows you to choose as many processors and cores as you require. The kind of app will decide over the amount of cores you will need. RAM: The faster the CPU and the more number of cores you will get; the better options will be available for you in the form of RAM. In case you are not sure about the RAM size and capacity before time, then choose the dedicated server in Russia that allows you to add more RAM when needed in future. Every business dreams to grow bigger in terms of profit and number of customer to its website. Its possible only when you use great servers, you get more profit because our Cheap Dedicated Server Hosting is not required to share resources with any other website and you have unlimited flexibility of using its entire resources for installing and running applications of your choice. 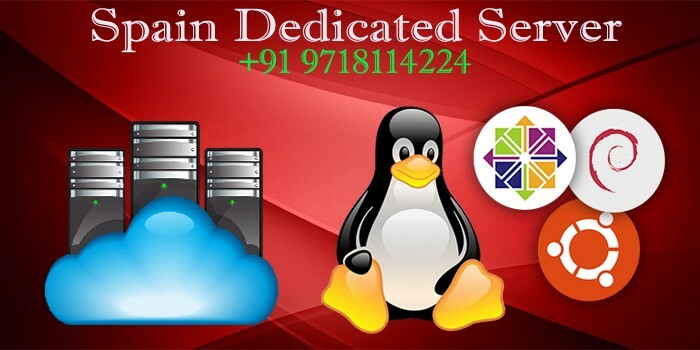 client of dedicated server hosting are free to support their unique operations by installing operating systems of their choice such as Linux or Windows operating system. Most of the organization that prefer Dedicated Server Hosting experience for website performance without any latency and other major issues that may impact user-experience. The lots of resources provided to users by dedicated servers can be attributed to the seamless website performance even during the period of traffic spikes. Dedicated Server Hosting is the most essential server for web hosting industry that provide the great performance for the business. These servers are handling heavy traffic load on your website. Dedicated server hosting authorizes the client to configure the server settings as per the requirement. a customer who option for a dedicated server hosting does what he wants to do with the server. This Server Hosting plans provide the best load time for your business major applications. We offer the fastest and most powerful plans, though some of the high-end other server options can give the lower performing our Dedicated Servers a run for their money. There are benefits to selecting our Servers, some of which may or may not be available on some other server solutions. One of the major advantage of a server is that it is generally full under the control of the customer. it can be rebooted when require and can also be completely customized in terms of the software it runs. Mostly shared hosting company have limits to what can be installed in terms of resource allocation, may not always give 100% control of their virtual modules to customers. but dedicated servers are usually able to run anything that their hardware can handle. But VPS Plans share the resources of a single computer in most cases, but dedicated servers put all of the resources at the disposal of a single customer. Memory, hard drive storage capacity, processing power, and network access are all 100% dedicated to a single customer instead of shared amongst multiple VPS customers or dozens of shared web hosting customers. When you choose our Dedicated Server Hosting plans, you have excellent options to buy a Dedicated Server Hosting and get fully manged Dedicated Sever. Within your own environment, with your own set of expertise, So choose Fully Managed Solutions from Onlive Server and let us manage it for you. This can only be achieved by selecting a dedicated server hosting plan. No matter what types of applications you need to run on the websites, a dedicated server has you covered. Similarly, your website is always assured of premium bandwidth support. The Cheap Dedicated Server in Spain offers you maximal benefit at affordable prices. Due to its variability in the plans, you can combine and match up the requirements as per your criteria. Another outstanding feature of the Best Dedicated Server in Spain offers you with the maximum configuration as well as the customization option. This way you will only be spending on the feature that you utilize the most in your business. The dedicated server plans price ranges do not vastly vary, but if you go for the next-level schemes, you will only be investing in your business indirectly by diminishing problematic scenarios arising in the long run. You will be not only able to customize and take the entire functionality in your own hands but also be able to make minor changes in your web application settings, plug-ins, and other choices. Moreover, you will also have the option to upgrade and downgrade the primary or core set-up as per your requirements. This has been difficult in case of the shared servers. The Spain Dedicated Server Hosting also adds a much higher level of satisfaction when it comes to significant changes in storage, hard drive or even CPU. You will not have to take the burden to find out if the hardware shall be compatible with your server. Moreover, the hyper-rich technique used in the features supports detail specific changes in server set, as per the load of work. Why Switzerland Dedicated Server Is right for your business? Switzerland Dedicated Server account provides greater adaptability to an organization that necessities to obtain hosting for their site. It allow to customer to have significantly more control over the server that are being utilized. A some of the control that is accessible for Sweden Dedicated Server accounts, which isn’t accessible with shared hosting packages, is having a decision of operating system that is utilized, customized script establishments and equipment decisions. It is basic to have high speed server with adequate hard disk space and RAM and in addition supporting hardware for the server to work proficiently to deal with high traffic volumes. Adaptability: With a Dedicated Server, the client has utilization of the server’s full capacity. This allows the client greater bandwidth with a sharing server, and in this way greater adaptability to build this bandwidth capacity as required. The capacity to change bandwidth as required is known as versatility, and this is a precious, cost-effective approach to oversee peaks and troughs in traffic to a website. Security: Sweden Dedicated Server can also provide high security. With a shared server game plan, there can be a risk of cross-sullying. In the event that the other site sharing the server isn’t satisfactorily secure then viruses, spyware or hackers could penetrate the server by means of the unsecured website , and once inside the server itself an virus could possibly access the safe site. Flexibility: Dedicated Server enable the client to settle on the server equipment itself and the operating system that will be utilized. Similarly, the client will appreciate complete control over the server and its operation, and will also have be able to work and design the server remotely. The customer will also appreciate order of the server operation and bandwidth, taking into consideration customization of server configurations. Apart from the general time and cost economy that the Sweden Dedicated Server Hosting fulfills, it could be exceptionally valuable for website specialists and visual creators. Extra income esteems are frequently gathered with the Switzerland Dedicated Server and in the same time it ends up plainly simpler for the director to change or update website of any customer within moments. Disconnected clients will regularly bring the web work alongside to the parent website.